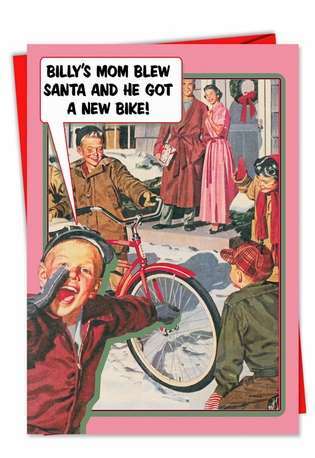 Cover Reads: Billy's Mom Blew Santa And He Got A New Bike! 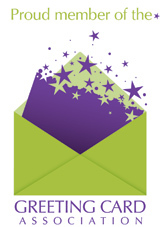 Inside Reads: Merry Christmas! Enjoy The Ride. 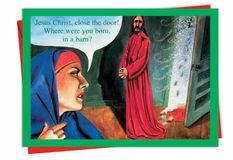 The retro styling of this hilarious Christmas card does not mask the modern message offered on the art of receiving the perfect gift. Billy is happy, Santa is happy and your friends will be happy to receive this funny holiday card. 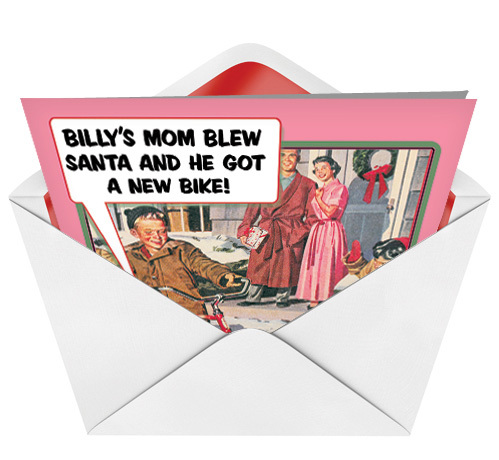 The good thing is that you do not have to use the same means to get these cards that Billy's mom apparently used to acquire a new bike. 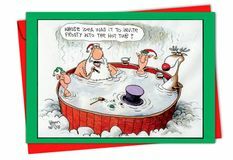 You just need to click on the box at the right to order this adults-only greeting card. Great card to give friends you've known for a very long time!